A San Francisco duo. Darien, owner of the BMW pictured here, sent me these wonderfully captured pictures overlooking San Francisco Bay Bridge several days ago. 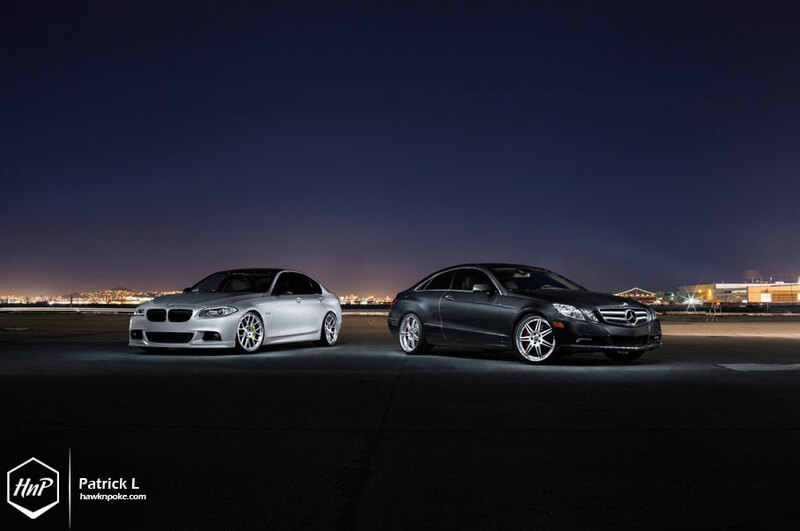 He has had the chance to hold a photo session with his friend Kevin (owner of E350 coupe) and had their rides captured by Patrick from QuickWorks. Oh, and if you’re wondering as to why I’m posting overseas rides, it’s because both Darien and Kevin are Indonesians. They’re currently living in San Francisco. Another friend of theirs is Daniel, whose Panamera on ADV.1 was featured at HnP last year. For most of us here, I believe our passion for cars has started quite early ever since our childhood. I still remember myself as a car-toy-freak kid, showing 0 interest in toy guns, bikes or robots whatsoever that do not run on four wheels. Darien seems to be of no difference; reading his dad’s automotive magazines ever since his early ages and even still collecting die cast cars to this day. 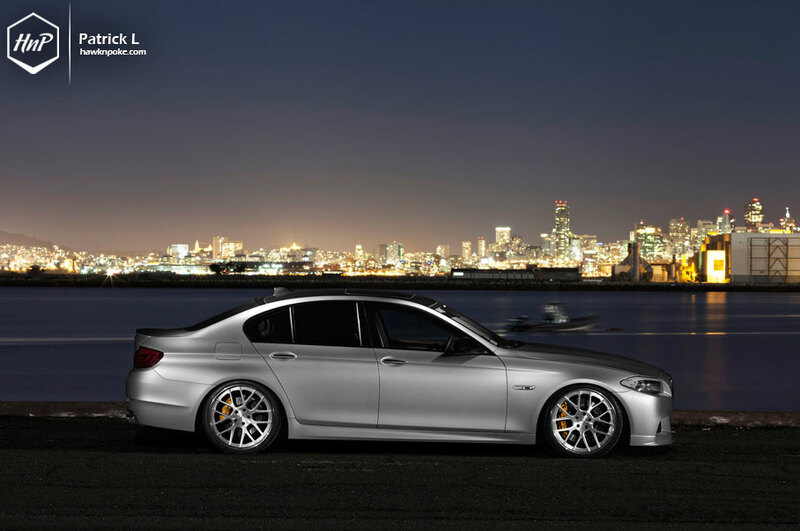 Having the chance to get his hands on the F10 5 Series, Darien couldn’t help but to immerse himself in the world of BMW aftermarket parts. 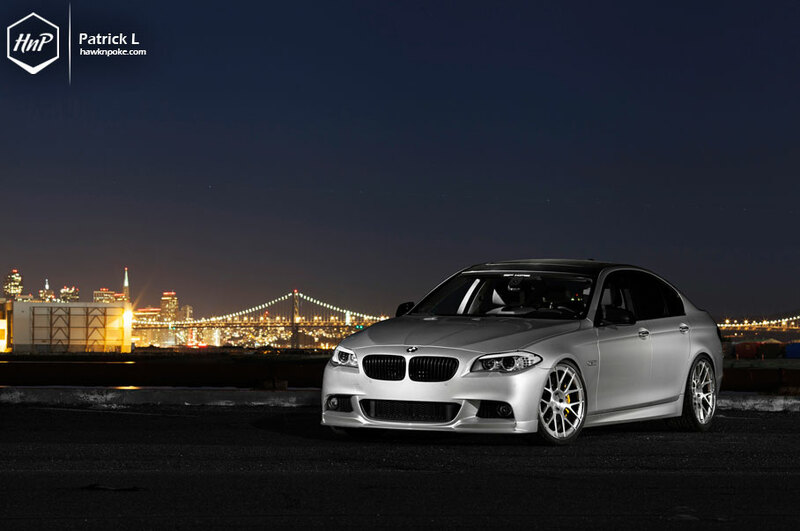 To no one’s surprise, the F10 platform is one of the nicest to be modified aesthetically. 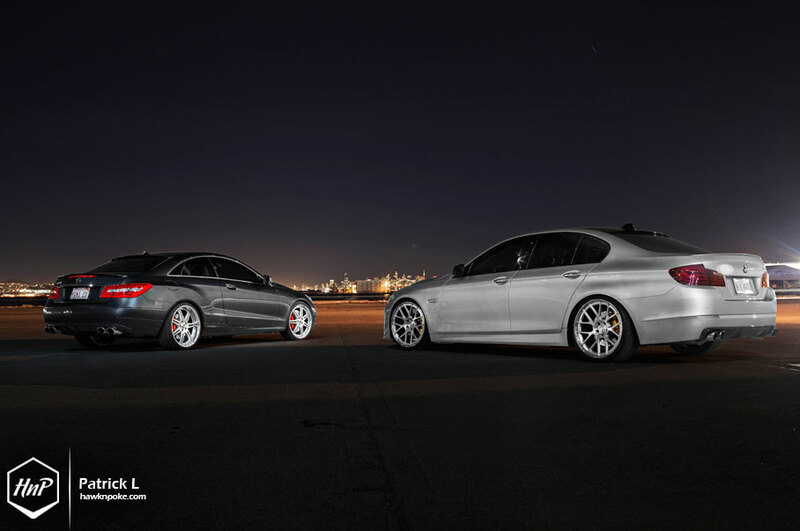 I myself has even posted quite several F10 running on HRE’s, DPE’s and BC’s at HnP. This time, though, Darien’s wheels of choice fall on to a set of ADV.1’s. Mainly fueled by the OEM wheel’s “unproportionally small” size, Darien listed a set of 21″ wheels as his top priority on the must-have list. 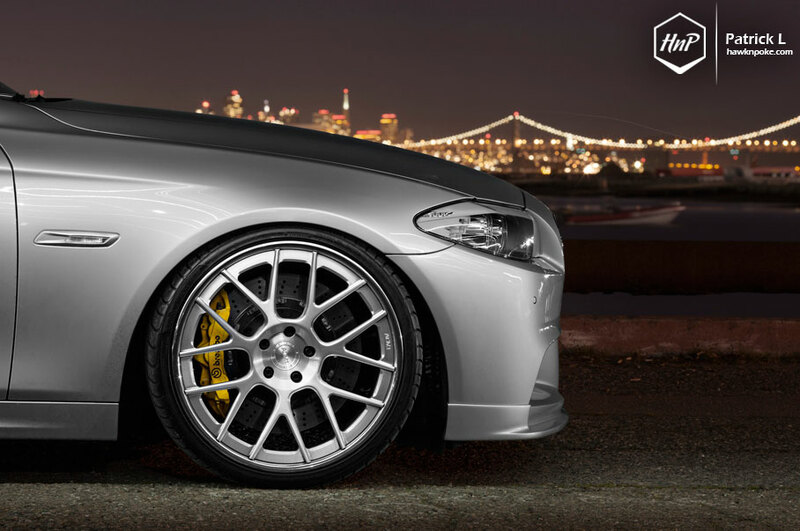 A set of concave brushed aluminium ADV.7 came out as the 21″ wheels of choice due to their contemporary spokes and concavity. Exterior wise, Darien chose to install aplenty of 3D Design and M Tech parts for his beloved luxury sedan. Unlucky for him, despite having to wait for around 3 months for the 3D Design front lip to arrive, he accidentally broke them off the next day he installed it. The lip broke off from a direct impact with foreign object on the highway. Deemed unrepairable, he then had to wait for another 2 months for the replacement to arrive. That’s 5 months of waiting for a single piece of front lip! Moving on from Darien’s car, I present to you this E350 coupe owned by Kevin. Kevin and Darien are both currently pursuing their degree at the University of San Francisco. While Darien’s modification tastes seem to revolve around bodykit and wheels, Kevin has a particular interest in exhaust systems. On this C207 E350 he has tried muffler delete mods, then installed Remus exhaust system, and yet settled for the Eisenmann instead. Even back then when he was still in Indonesia, Kevin has always had a thing for two door coupes, especially the E coupe. 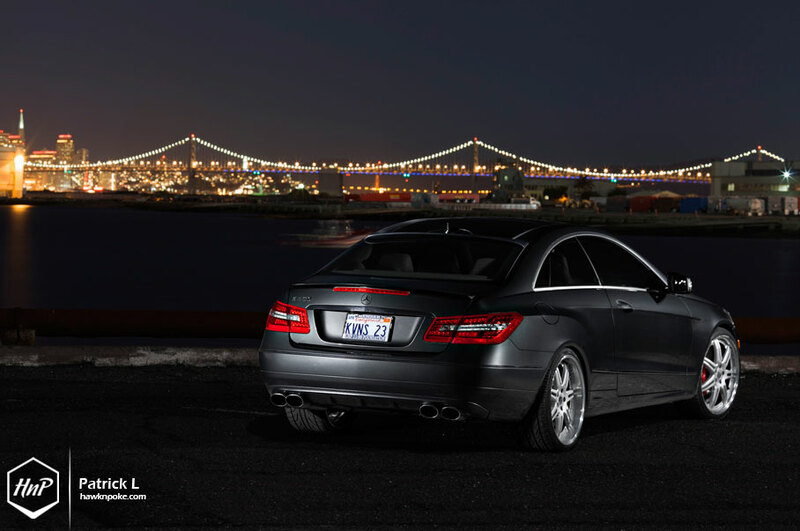 Further inspired by his cousin’s CLK with Carlsson kit and Remus exhaust, Kevin couldn’t help but to also immerse himself in the world of modifications once he finally got his hands on the E350 coupe. Deviating from Darien’s choice of US ADV.1 wheels, Kevin opted for the Japanese Work Gnosis instead. 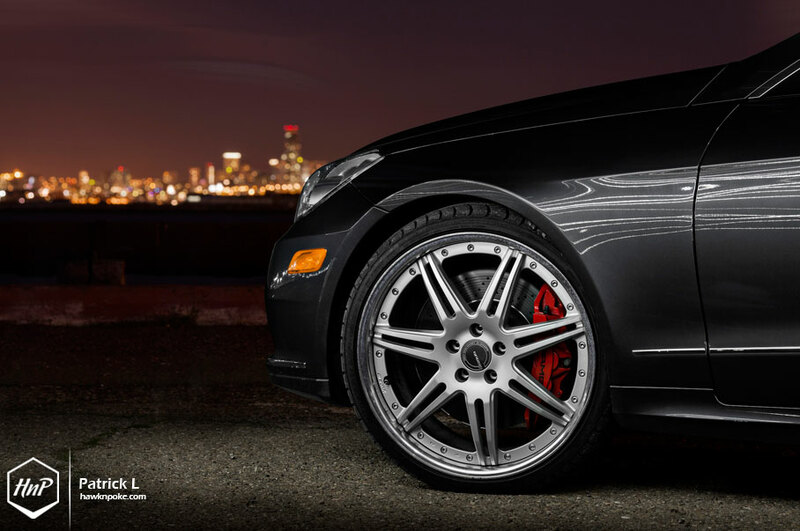 With classic 7-split spokes, these wheels are looking right at home under the luxurious E coupe’s wheel arches. Miles of distance proved to be of no obstacle in showing off our Indonesian car culture. I’ll gladly post any other Indonesians’ rides from overseas to be shown off at HnP. Do contact Patrick at QuickWorks (details below) if you need professional photo shoots! ADV1.wheels ADV.7 21″x9-10.5 Brush aluminum center, Polish chrome lip. Eisenmann 4 x 120 x 77mm Oval Tip Exhaust System.